Catching some “ZZZ’s” should be easy. However, purchasing a mattress is not always straightforward. Mattresses are “big business” and can be daunting to first time buyers or even those who haven’t purchased in a while. Don’t lose sleep over it! 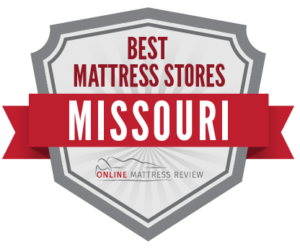 We took a look at mattress stores across the state of Missouri and found mattress shops that offer quality products, a knowledgeable sales team, and great prices. You spend ⅓ of your life sleeping, so you probably want to make sure that you get this purchase right. We have you covered with the following Missouri mattress stores divided by region. Have you ever wondered: Where can I find a mattress in Kansas City? You have come to the right place. Mattress Firm Crossroads at Westport (905 Westport Rd.) has a huge selection of mattresses to choose from and a patient and knowledgeable sales team. This is a great place to head if you are unsure of what to buy or if you know exactly what you’re looking for- there is no pressure. You always have 120 days to try your mattress with a money-back guarantee. Try shopping during Labor Day for a steep discount- they may even throw in free shipping. Prime Sleep (8646 N. Boardwalk Ave.) will help to pair you with a mattress that fits your sleeping patterns. The staff understand that everyone is built different and also offer a computerized test to further customize your mattress. This is a great place to head if you are either a first-time buyer or veteran. If you need a mattress free from chemicals, try the eco-friendly options as Eagles’ Rest Natural Mattresses and Furniture. Studies show that mattresses and furniture are conventionally packed with chemicals. For a mattress shop near Kansas City, try Eagles’ Rest (Johns Dr. Mission, KS 66202). If you are in St. Louis and you need a mattress, we have your back! Preferred Mattress (3326 Watson Rd.) is a locally-owned and run mattress shop in St. Louis. The owner and staff truly understand the product and will help you find something affordable that fits your sleep requirements as well as your budget. This is a great option if you prefer to shop local. Far Below Retail Furniture and Mattresses (1645 Headland Dr.) is the place to head to furnish your bedroom or your whole house. Here you can readily find a great deal on a quality mattress, and reliable shipping as well as assembly. If you’re on a tight budget, give Far Below Retail a try. Meyer Bedding and Mattress (4801 Potomac St.) is a locally run business founded in 1900! Here you will find comparable prices, and a staff that truly understands the product. If you are looking for experts on mattresses, look no further than Meyer. Are you unsure of where to find a mattress in Springfield, Missouri? We can help! Mattress Firm Springfield Clearance & SuperCenter (1610 E. Battlefield St.) is a great place to start as they offer a wide selection of quality and affordable mattresses. You can easily find frames, and toppers to complete your set. If you need a no-hassle experience, try this location. If you are unsure of what you want or need to improve your sleep, try Joplimo Mattress (301 E. Battlefield Rd.) where you will find a great sales team that will help point you in the right direction. The staff are clear and courteous and don’t push you to purchase. Head here if you’re a first-time mattress buyer or ready for your next set. If you need a mattress for the whole family, head to Springfield Mattress (2851 S Campbell Ave.) where you’ll find the full range of mattress sizes, brands, and materials. The sales team is courteous and really understands the products. Ask about delivery prices, sometimes they will throw in free delivery. When searching for a mattress store in Columbia you have a few options. Columbia Discount Furniture and Bedding (1906 N. Providence Rd.) offers discounted mattresses and great customer service. If you are looking to purchase from a locally owned and operated mattress shop, try Columbia Discount Furniture and Bedding. Denver Mattress (1802 Lake Ridgeway Rd.) offers quality name-brand mattresses at competitive prices. Head here if you are interested in a no-pressure sale and an opportunity to try out several products. The store is large and stocks a wide variety of mattresses. Mattress Firm Broadway Marketplace (2900 Trimble Rd. Ste 101) has a knowledgeable staff, and a wide selection of name brand mattresses. Like all Mattress Firms, you are afforded the perks of next-day delivery as well as an 120 day guarantee.